Enter in our RARE Waterman Fountain Pen give away! 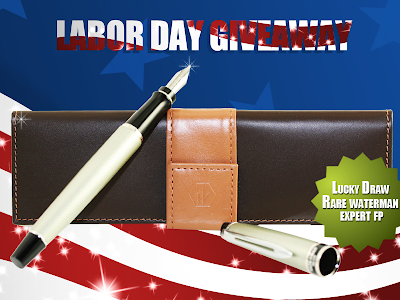 We at Pen Boutique, Limited, USA, are organizing a Facebook Labor Day Special Giveaway. Please participate in our contest and win exciting prize. The contest starts on Thursday, August 29th and ends on September 7th, 2013. Rare Waterman Expert Urban Fountain Pen with the pen pouch. The fountain pen does have a gold nib and writes like a dream. We are giving away 1 Rare Waterman Fountain Pen. International customers are welcome to participate but shipping will be additional and you can also add it free to your any pending orders. 3) Scroll down and enter your name and address ( yeah, we have to know whom to give). The terms and conditions are something which is required by facebook for merchants as per their new rule. The air was filled with the salty aroma of hundreds of uncapped ink bottles that were left at many a stations for trial. Shiny pens, thousands in number, laid neatly on the tables. Some strolled down from aisle to aisle, admiring what they saw. Letting out sighs of "Ooohs" and "Ahhs". Sometimes stopping to try what they saw and liked. And there were others rushing in hopes of finding the pen of their dreams. For many the dream turned into reality. For some, there is always another year. Have you guessed already what it is? Yes, it is the Washington DC Pen Show 2014. The grand hall of Sheraton Premiere Hotel was dwarfed by floods of pen enthusiasts, collectors and novices who poured in as soon as the doors opened. Showcasing a wide array of old, new, branded and unbranded pens from over, Washington DC Pen Show 2014 was a hit, if nothing else. But it was more. Lots of new faces floated amidst many old ones. It was a beginning of a new chapter for those who were at the show for the first time. They made new friends, fell in love and hopefully will be back next year. For others, it was a reunion: of like-minded people, of old friends and of long lost love. We at Pen Boutique were honored to see some customers, return again after last year; if not to buy pens, then to meet us. 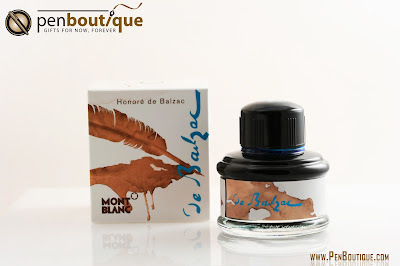 Monk Paper, the online lokta paper store, made its debut at Pen Show this year which was well received by the visitors. We also held a contest during the four-day event, which ended up making a very special guy very happy. Anson, became the winner of the contest and received a Lokta traveler journal and the Rare Retro 88 ballpoint pen. This smile is one reason why, we at Pen Boutique love giving prizes. You can also watch this priceless video of him opening the gift. 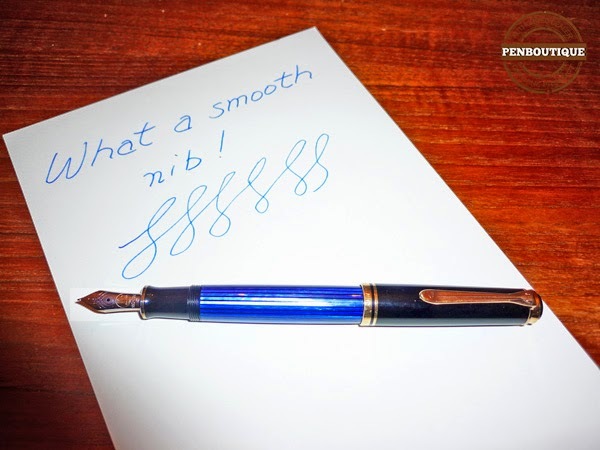 The Washington DC Pen Show 2014, which kicked off on 7 August for four days, was a huge success; thanks to all the pen enthusiasts who participated. We are glad to announce that we have picked a winner of the DC Pen Show Contest 2014 that happened at the venue. And the winner is........Anson. Congratulations!!! Anson won a beautiful Lokta traveller journal and the Rare Retro 88 ballpoint pen. 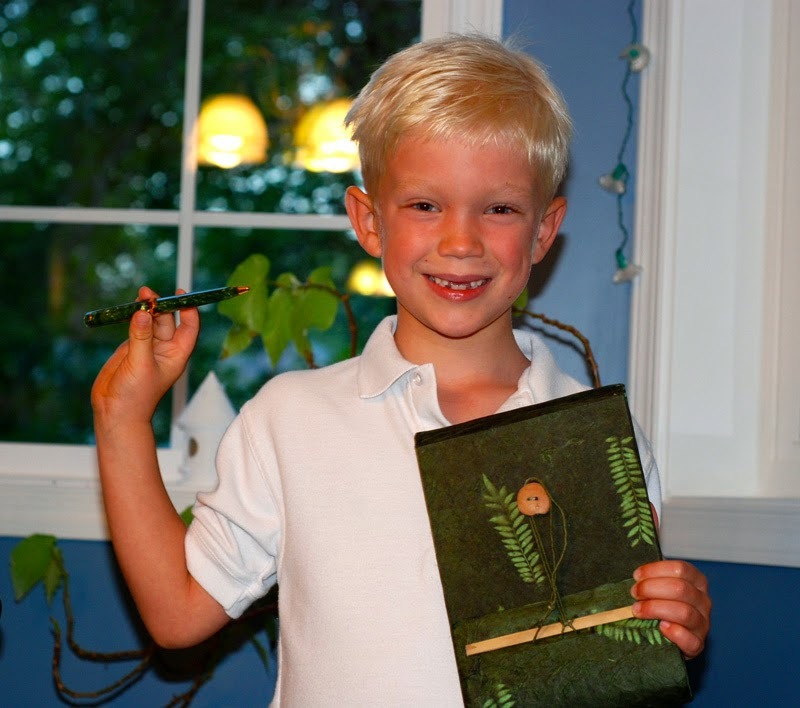 Here is a picture of him with the pen and the journal. We hope you enjoy using them, as much as we have enjoyed giving it to you. 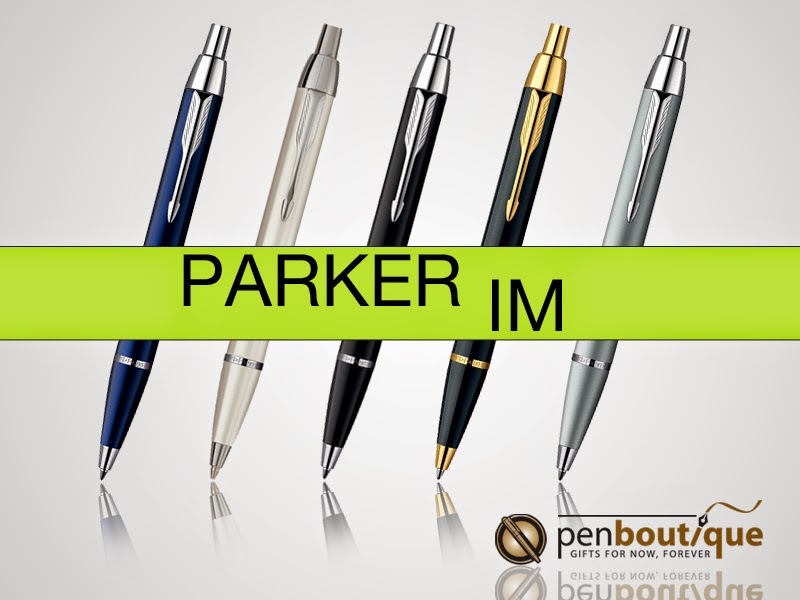 "Being one of my favorite pens for everyday use, the Parker IM ballpoint pen is the epitome of "Bang for your buck". I am impressed with they way they look and feel and I would never imagine the price to be what it is. One of the most important things to me is how easy it is to get refills! I also like how many refill options there are to choose from, such as Parker Gel refills or Monteverde Soft Roll refills. In mine, I currently have an"Easy Flow" refill from S.T.Dupont. I absolutely love how it glides and can't get enough of it." 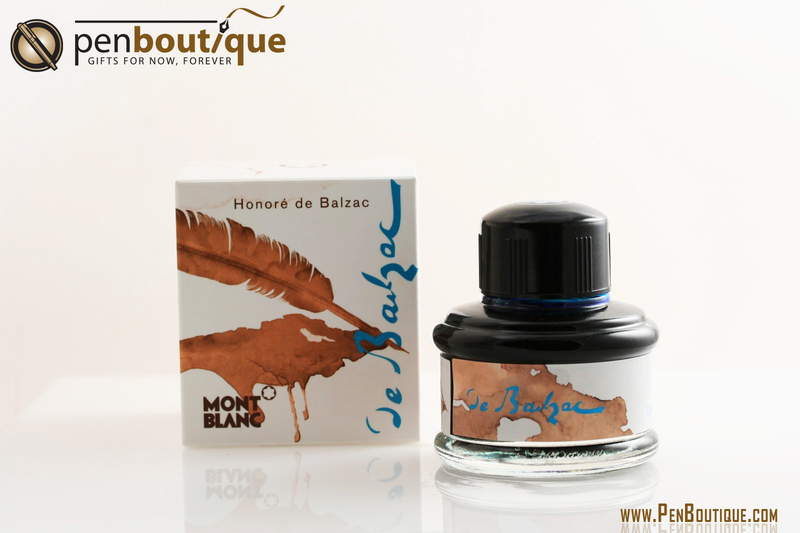 Pelikan has been manufacturing fountain pens for 85 years, and their experience shows in the Souveran M600 fountain pen. I acquired the black with blue stripe model in the photo several years ago, and it quickly became one of my favorites. The medium sized body and overall balance are great, the gold plated rings are very attractive, and the brass piston filling mechanism is a real pleasure to use. Probably the best feature is the two-tone 14 carat gold nib decorated with rhodium, which writes so very smoothly, even in fine or extra fine (mine happens to be a fine, and medium or broad nibs are also available). I've used this pen to send notes to friends as well as to address birthday and holiday cards. Quite frequently people comment on seeing that I used a fountain pen, and they really appreciate the personal gesture in this world of fast-paced digital communication. If you'd like to experience the pleasure of writing with a quality fountain pen with a solid gold nib (in my mind, there is no substitute), you can't do much better than the Pelikan Souveran M600. Choose from a model in all-black, or black with red, blue, or traditional green stripe, and try some of the very colorful Pelikan and Edelstein inks as well. You won't be disappointed.